New Years is right around the corner, followed by Valentine's Day, and what better way to celebrate, than with some bubbly... in your cupcake?! A sophisticated, adult flavor, incorporated into a nostalgic childhood treat. First I tried substituting the champagne for the liquid in my recipe but they were a little too dry for my taste. 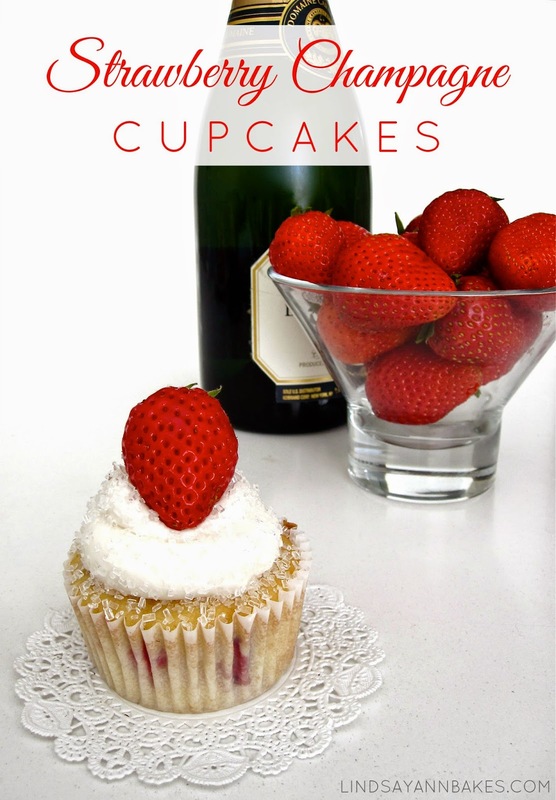 I decided to use my moist, vanilla strawberry buttermilk cupcakes as the base, and add a champagne glaze to the tops of the baked cupcakes, to let the champagne flavor really shine through. This created a very moist, flavorful cupcake that was just exquisite! Topped with the fizzy, champagne cream cheese frosting, these cupcakes are just lovely. My next mission will definitely be to create a mimosa cupcake! In a medium bowl or bowl of a stand mixer, mix together cake flour, sugar, baking powder, baking soda, and salt on low speed for about 20 seconds. Add butter and oil and mix for about 1-2 minutes to coat the flour, until mixture resembles wet sand. In a small bowl, whisk together egg, yolk, vanilla, and sour cream until smooth. Slowly add the wet mixture on low speed. Increase to medium speed and beat for about 1 minute until batter is smooth. Using a rubber spatula, gently fold in strawberries. Fill cupcake liners just over 1/2 full, about 3 tablespoons of batter per cup. Bake for 17-20 minutes, or until an inserted toothpick comes out clean. 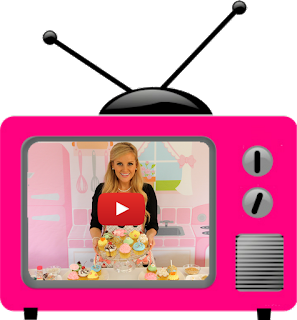 (For mini cupcakes, fill with about 1 1/2 tablespoons batter each and bake for about 8-10 minutes). Transfer to a wire rack to cool completely before frosting. In small saucepan, heat ingredients until melted and combine (I used pink/rose champagne to make it sweeter, but any kind will do). Remove from heat and pour into a shallow bowl. Dip the tops of the cooled cupcakes in glaze. Let set and dip again if desired. Frost once glaze has set. With an electric mixer, beat butter on medium speed until smooth. Gradually beat in powdered sugar until incorporated. Add champagne 1 tablespoon at a time. Increase speed to high and beat for about 3-5 minutes, until smooth and creamy. Garnish cupcakes with sugar crystals or sanding sugar to really make them sparkle!